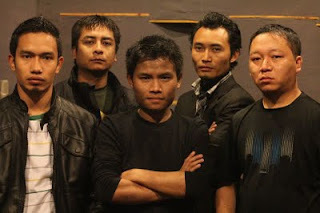 Mizoram based Drop Doubt comprise of Malsawmtluanga Sailo’s wailing vocals, Zothanpuia’s pummeling guitar attack, the outrageously complex basslines of Michael Lalneihtluanga, the sharp synth craft of Lalremruata Sailo and the vigorous drumming of John Lalrosanga. The band who started out in the wake of the progressive scene in Mizoram finds a mushy ripe slice of Gospel Rock tarnished with the sensibilities of 90’s tinged rock n’roll and new-age alternative rock. "A man must drop all his doubt for Jesus Christ who died on the cross to save us from our sins, and thus, your doubt should be dropped". Claim the five-piece from Aizawl. Drop Doubt’s existing repertoire, stands strong in its objective and relevance. Here’s wishing them the best in their Endeavour.